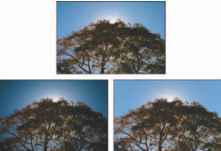 Use the Vignetting sliders to eliminate darkness around the edges of the image or, perhaps, to introduce either darkness or lightness as a special effect. When the Amount slider has a value other than 0, the Midpoint slider is active, which lets you set the diameter of the vignette. In Figure 7-9, the original image is shown at the top. Below, you see what happens when you drag the Amount slider to the left for a dark effect and to the right to lighten the corners of the shot, smoothing the appearance of the sky. Figure 7-7: Reducing noise and smoothing luminance can greatly improve shadow areas. 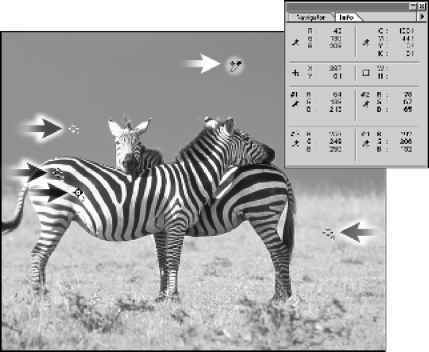 Figure 7-9: Drag the Amount slider to the left to darken corners, to the right to lighten. Figure 7-8: Minimize colored fringe with the Chromatic Aberration sliders.